As a non-profit organization, we rely on the generosity of donors – every little bit helps! 6. 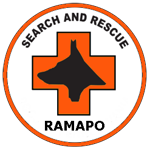 Amazon Smile – Support us by shopping on Amazon and choosing “Ramapo Rescue Dog Foundation” when asked to select a charity.